Justice League director Zack Snyder just posted a video to commemorate the final day of shooting the film in the UK. And while that’s all well and good, really, this video is just 90 seconds of exciting behind the scenes footage. The video shows us lots of Batman, Wonder Woman, Flash, Aquaman, Cyborg... but only a quick glimpse of Superman. I mean, that shot of the Justice League in an elevator is just rad. And when they’re walking up the stairs? It’s iconic comic book stuff. Not to mention the big water effects with Aquaman, and some great shots of Affleck in the new Batsuit. 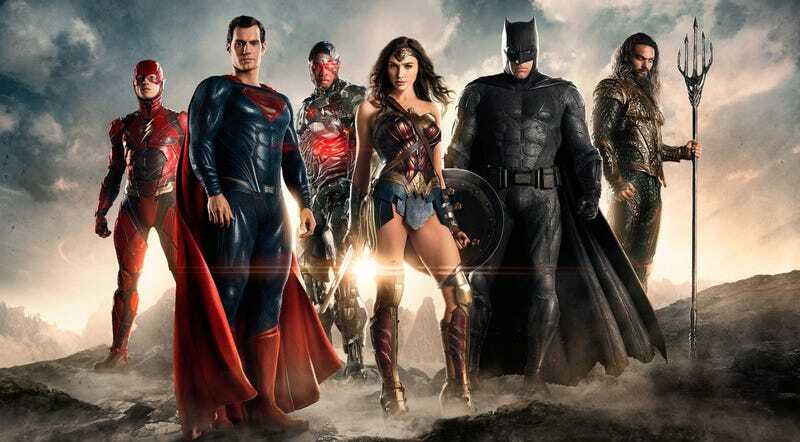 We know DC’s track record on recent films has been a huge point of contention, Snyder and crew have made one thing very clear with Justice League: They want it to be fun. Justice League opens November 2017. * Correction: First version of this story said Superman wasn’t in the footage. He is.